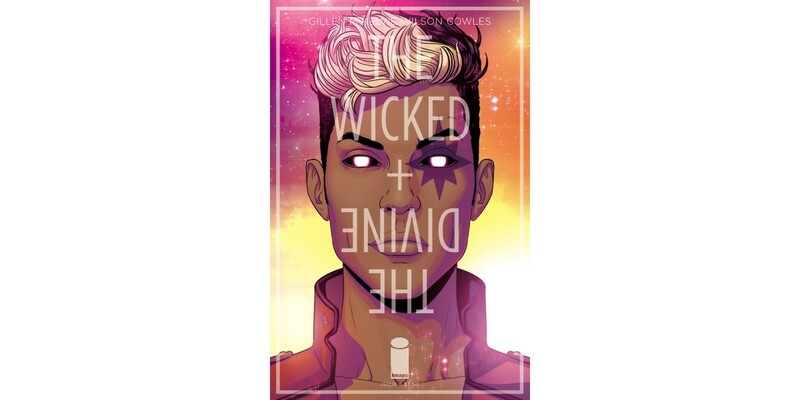 THE WICKED + THE DIVINE, the white-hot new series by writer Kieron Gillen and artist Jamie McKelvie about gods being briefly reincarnated as pop stars before dying, drew crowds of worshippers and is heading into a thrilling new story arc that will leave fans shocked and breathless. With each issue of the first arc flying off the shelves at record speed, this new story arc promises an even higher degree of electrifying story this December. The Faust Act is over. Welcome to Fandemonium. The second arc of THE WICKED + THE DIVINE begins with issue #6 in its traditional manner (i.e. a ludicrous pun) and something like “nothing will ever be the same again.” But if you think about it, you can say that about literally everything, ever. Also, some comic story. Probably. Writer Gillen remained coy about the second arc’s plot twists, but hinted that each issue would pack a punch readers wouldn’t see coming. "With the first arc, we wanted an intense, classic comics' build, rising towards the fifth issue as this big, earthquake-sized heart-attack climax,” said Gillen. “Our second arc—FANDEMONIUM—is different. It's a line of chasers on the bar, each a micro-nuke cocktail, served with a wink and distilled for concentrated effect. The first arc was a week or so in the gods' two-year lives. In the second arc, each issue is separated by a whole month and focuses around a single gathering of fans. Time's running out. Time's always running out." THE WICKED + THE DIVINE #6 arrives in stores this 12/17 and can be pre-ordered using Diamond Code OCT140611.